My wife keeps a running litany of my myriad foibles. You could call it “Jeff’s 22 Greatest Misses”. It’s a best-seller in our home. One of the out-takes from that list (I guess you could call it a bonus onus track) is my musical completism. I hate interviewing an artist unless I’m perfectly comfortable discussing the minutae of the differences in style between his eighth and ninth CDs. It literally causes me to lose sleep, and I’ve spent many a night plodding repetitiously and tediously through undistinguished (and indistinguishable) discographies. Right now in my New CDs directory you can find Coldplay (8 studio albums, 3 live), Count Basie (about 30 albums, including numerous collections), Durutti Column (29 Albums), Eivør (that’s the very fine Faronese singer-songwriter Eivør Pálsdóttir, 7 studio, 3 live), and Tortoise (14, including EPs and remixes). Because, you see, the only way to get to know an artist seriously is to walk through their discography chronologically, album by album, year after year. And it’s not like watching a season of The Sopranos over a long weekend. Music takes time to digest. You don’t hear an album once. You need to know it, you have to hear it at least half a dozen times. This is a very time-consuming activity. Or obsession, as some have called it. Well, someone’s got to do it. There are patent benefits to growing up with an artist. A young whippersnapper wannabe once tried to convince me that Love’s “Da Capo” preceded the eponymous LP with ‘My Little Red Book’. “Son,” I said condescendingly, gently laying my hand on his shoulder, “I was there.” Harumph. Learning an artist chronologically and methodically is the only way to fully grasp the ebb and flow of a career. That’s how I know the artists I grew up with and followed, release by release, the ones I feel most intimate with. So why do it otherwise? Two main reasons. When I discovered jazz, Miles and Monk and Mingus were long gone, and there’s a natural process of going from key albums to excellent albums to interesting albums (and on to uninteresting albums and then to obscure bootlegs). And that’s not chronological, dammit. Secondly, on occasion, even a kill-everything-by-dissection analyst such as myself occasionally gets carried away. You fall in love. You can’t help yourself. You just need to hear the music. 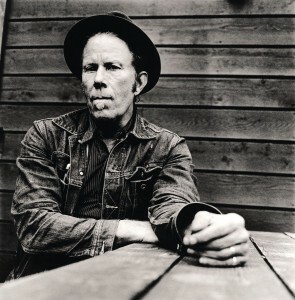 That’s what happened to me with Tom Waits. Way back, someone gave me a cassette of a dozen of Tom Waits’ most beautiful, moving ballads, and they’ve been in my heart and soul and blood ever since. I played the cassette till it died. And then when God created digital discographies, I went through Mr Waits’ 50 some albums (23 studio albums since 1973, and lots of bootlegs, 624 cuts in all). I skipped all the voodoo, jungle garbage chanting stuff, culled the 116 ‘pretty’ cuts, and have been listening to them since. A lot. For ten years now. 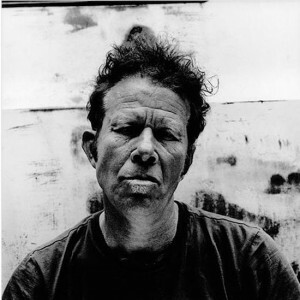 I’m not a guy who goes for ‘pretty’, and even if I were, Tom Waits isn’t the obviously place to look. Most people say his voice sounds “like it was soaked in a vat of bourbon, left hanging in the smokehouse for a few months, and then taken outside and run over with a car.” That he makes Dylan look sound like Plácido Domingo (hey, there’s a duet waiting to happen!). Well, I want to tell you, for my nickel’s worth they’re wrong. 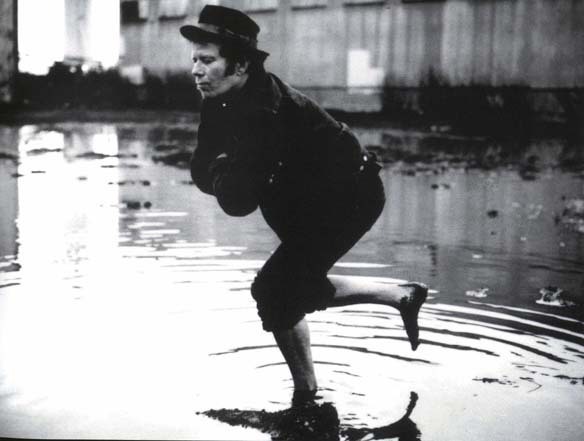 Tom Waits has made some of the most beautiful music I’ve ever heard. 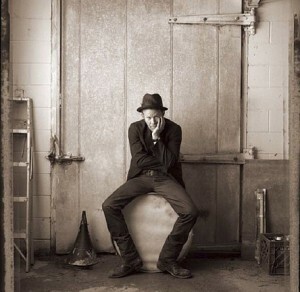 He writes songs that are brilliant, passionate and finely crafted. His performances can be heart-rending. Not too long ago, I was just driving my car, minding my own business, listening to a compilation I’d burned of his ‘pretty’ songs (I called it “Tom Waits for No Man”), and this song came on. And it brought me to tears. 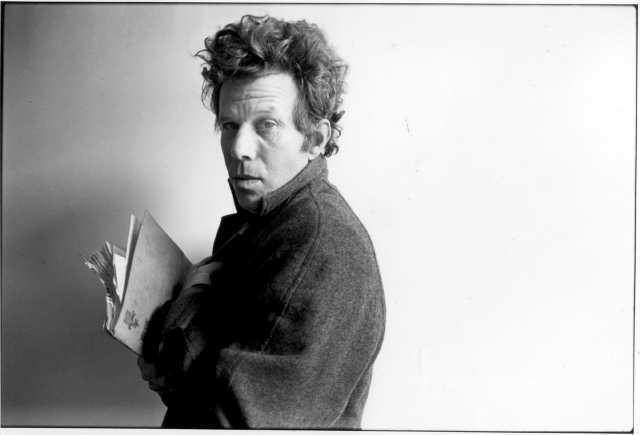 It’s not the first time Tom Waits has done that to me. Not at a time when I’m walking around with a broken heart, on the verge of tears anyway. He transports me into the world he creates. Consummate artistry. It’s a bit embarrassing, a grown man driving to Home Depot and crying. But that’s the whole point of exposing oneself to moving music, isn’t it? I’d feel more comfortable SoTWing you through his discography. That’s why I’ve never written about him before, because I don’t own the oeuvre. But my good friend Z.S. (what kind of initial is ‘Z’, anyway?) said he doesn’t know Tom Waits at all, and that’s an untenable state of affairs, so I’m stepping outside that comfort zone. Here you go folks. Close the door, get a box of tissues, put on the headphones. Slip out the door quietly into the 5 AM gloom. Wrench yourself away from what you love most. Take a scarf, stick it in the pocket of your leather jacket. And say goodbye to Ruby’s arms. I wore when I was with you. Blinds, for soon you will be waking. And everything is turning blue now. There’s nothing I can do now. There’ll be someone else to hold you. The scarf off of your clothesline. And your broken wind chimes. Say goodbye to Ruby’s arms. And out into the morning. Have kept their fires burning. Such beautiful words – a shame I can’t understand a single word he sings. The good news is, he could definitely get a job announcing destinations at a bus station in New Jersey.